It's only been a few days since I've gotten this little compact in my hands and I'm already so thrilled about it, in fact I didn't intend to post about this at all because it is a limited edition release and with the few places that ship online, I have a feeling it's going to be flying off the shelves but perhaps you can still beat the crowd. 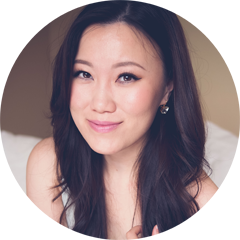 I've briefly introduced the Etude House spring collection, aptly named Sweet Recipe in a few posts before (even a product demo video) and subsequently placed an order for a few items myself. 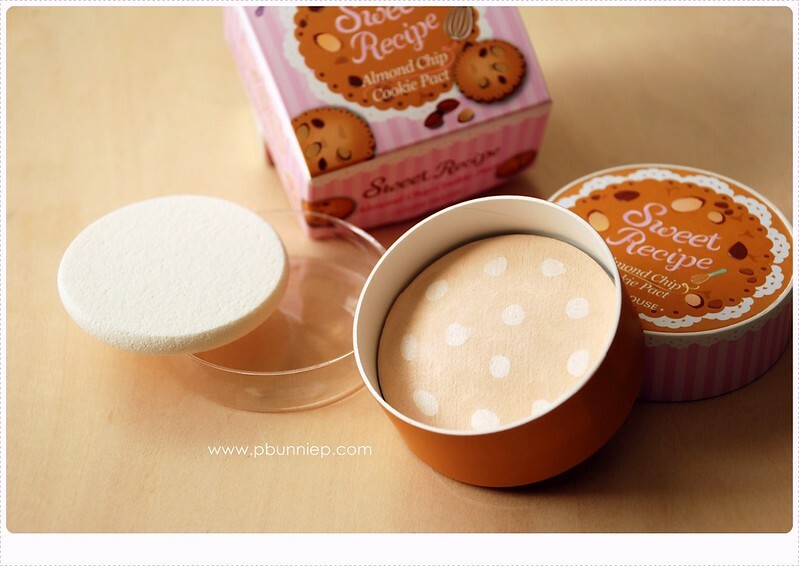 This Almond Cookie Pact was particularly interesting not only because of the cute packaging but also that it contained pearlescent polka dots scattered through the powder to illuminate the skin, meant to enhance skin in a soft and delicate way. 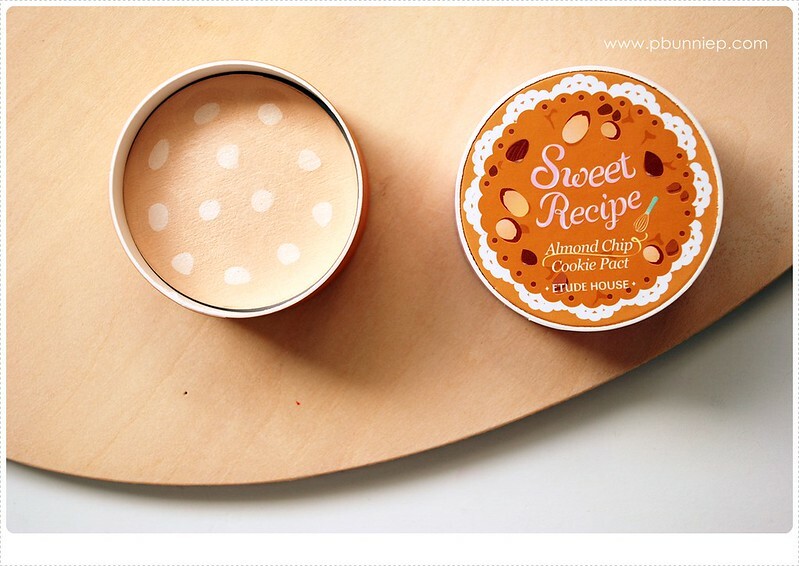 Once in my hands, I was first surprised that it seems to be a baked powder product as seen by the textured lines of the powder and the domed shape, something that didn't occur to me when looking at the press images. Taking a swatch with my finger, the powder felt luxuriously soft to the touch and had almost a creamy consistency which prompted a quick scan of the ingredients list to find quite a few moisturizing additives such as macadamia nut oil. I've used a few Korean brand powders (comparable to Etude's price range) and generally found them to be quite dry and sometimes a little chalky so this smooth texture instantly made me very excited. When sweeping a sponge or brush over the entire powder, the product provides a satin like sheen to the skin that is subtle enough to be used all over the face or in select areas for a delicate highlight (only in very bright indoor light did I detect the miniscule shimmer particles). Coverage is sheer to light, nothing heavy but good for setting a tinted moisturizer or light foundation. The product is subtly fragranced with an almond scent (yes it is!) and comes both with a dense sponge and also a sturdy plastic lid insert to keep the powder hygienic. 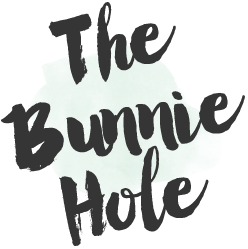 It's not an oil free product and would likely be a better choice for normal, combination or dry skin and those looking for a subtle illuminating compact powder. I have yet to use this enough to say much more about it but if you've been on the fence about purchasing this compact, I would make the jump because I think not only do I think it's an unique collectors item but also seems like it has the potential to be something quite nice. The Cookie Pact comes in two shades, the Almond Chip which I have here and also a darker Chocolate Chip shade. For international shipping the best prices thus far are from f2plus1 (on eBay) and KoreaDepart. 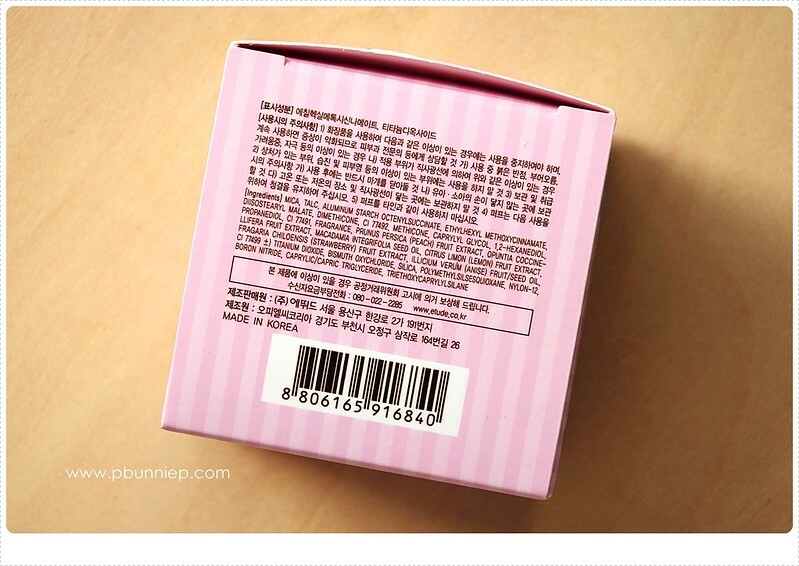 Oh man...I'm tempted to make another order from KoreaDepart because of this post...>_______<"
But I don't quite understand what this powder is for...is it a setting powder for a darker skintone? To me the color looks a bit dark for you...? It's a setting powder for foundation or I suppose you can also wear it alone on its own. The shade does swatch slightly lighter because of the pearly sheen plus its not that high coverage so I think its quit forgiving, it's not too dark although a tiny tinge peach if anything. I've got the eyeshadow palette on its way too. Wow such sweet packaging I cant wait to try more of Etude House products, the few ones I have are a little too shimmery for daily use. You think this can be also used as a blotting powder? It might be a bit weak for a blotting powder as it seems to contain more moisturizing ingredients than oil controlling ones. Mine came in the other day as well! So delightful!! I'm very picky about my powders and while I'm constantly trying to find a good affordable one I still have to say the best I've ever used is from Guerlain... not sure if they have repackaged it but it's a small gold compact that smells like violets!